First off, I’d like to say that I’m writing these preliminary posts in a way that I’ll assume you have very little knowledge in programming. I want this content to provide anyone “walking in off the street” the knowledge to be able to write their first program with the Java programming language with as little pain as possible. So, let’s get started with our first topic: The 5 basic concepts of any programming language. You might say, “Why are we talking about any programming language? I thought this was about Java”. Well, I’ve found that it’s important to remember that a lot of programming languages are very similar, and knowing what’s common between all programming languages will help you transition into any other programming language if you need to! For example, with the Java programming knowledge I had obtained, it took me less than a month to learn how to program in a language called Objective C (which is used for iPhone apps). That’s powerful stuff! Before we start learning: if you’re someone who also enjoys learning by watching videos, then I have the perfect deal for you. You can get access to over 50 hours of video tutorials (plus exercise files, assignments, quizzes and a private Facebook community of like minded programmers) for free for 30 days. You can click here to learn more about the Java courses. I recognize that these words probably look foreign to you, but don’t worry, I’ll do my very best at taking the mystery out of them. Now, there’s a lot to say about each of these 5 concepts, so for today’s post I’ll only be talked about item #1, variables! In computer programming, a variable is a storage location and an associated symbolic name which contains some known or unknown quantity or information, a value. Okay, well, that’s kind of cryptic. To me, a variable is simply a way to store some sort of information for later use, and we can retrieve this information by referring to a “word” that will describe this information. For example, let’s say you come to my website www.howtoprogramwithjava.com and the first thing I want to do, is ask you what your name is (so that I can greet you in a nice way the next time you visit my website). I would put a little text box on the screen that asks you what your name is… that text box would represent a variable! Let’s say I called that text box ‘yourName’, that would be the symbolic name (or “word”) for your variable (as described from our wiki definition above). So now, when you type your name into the text box, that information would be stored in a variable called ‘yourName’. I would then be able to come back and say “What value does the variable ‘yourName’ contain?”, and the program would tell me whatever it was your typed into that text box. This concept is extremely powerful in programming and is used constantly. It is what makes Facebook and Twitter work, it’s what makes paying your bills via your online bank work, it’s what allows you to place a bid on eBay. Variables make the programming world go ’round. Now, if we want to get more specific, when it comes to the Java programming language, variables have different types. Brace yourself here, as I’m going to try to confuse you by explaining an important concept in three sentences. If I were to be storing your name in a variable, that type would be a String. Or, let’s say I also wanted to store your age, that type would be stored as an Integer. Or let’s say I wanted to store how much money you make in a year, that type would be stored as a Double. What the heck are String, Integer and Double? Excellent question! In Java, the programming language wants to know what kind of information you are going to be storing in a variable. This is because Java is a strongly typed language. I could teach you about what the difference is between a strongly typed language and a weakly typed language, but that will likely bore you right now, so let’s just focus on what a type is in Java and why it’s important. Typing in Java, allows the programming language to know with absolute certainty that the information being stored in a variable will be ‘a certain way’. So like I said, if you’re storing your age, you would use the Integer type… well that’s because in Java, an Integer means you have a number that won’t have any decimal places in it. It will be a whole number, like 5, or 20, or 60, or -60, or 4000, or -16000. All of those numbers would be considered an Integer in Java. So what would happen if you tried to store something that wasn’t an Integer, into an Integer variable, say for instance the value “$35.38”? Well, quite simply, you would get an error in the program and you would have to fix it! “$35.38” has a dollar sign ($) in it, as well as a decimal place with two digits of accuracy. In Java, when you specify that a variable is of type Integer, you are simply not allowed to store anything except a whole number. Specifying what kind of data that you are dealing with allows the programming language to use that data in interesting ways. Again, what I say “specifying what kind of data”, I’m just referring to the type of data. Let’s dive into the power of assigning a type to your data. What can you do with data types? Your desire is to add two numbers together, let’s say the number 22 and the number 3. Java will behave differently depending on the type of the variable that’s storing this data. If you have defined your variables to be of type Integer, then adding 22 and 3 together will result in the Integer 25. Makes perfect sense right? Of course, this is simple Math. But what happens if your variables are not Integers, but are Strings? A String in Java is a different kind of data type and it behaves differently BECAUSE it is a different type of data. When we refer to a String in Java (and in many other programming languages) we are treating the data like it’s just a plain old sentence in the English language. A String just represents words (or more specifically letters) all placed in a certain order. That’s all the English language (or any language) is, a series of characters/letters placed in a certain order to give meaning to what you’re writing down. So now I ask you, what does it mean to add two sentences together? What does it mean to add two Strings together? If you were to have two variables, each defined as Strings and they stored the data “22” and “3” (respectively), what would happen if we added them together? This might be confusing at first, but it makes more sense when we use less “misleading” data. Let’s assume that in our two String variables, we aren’t storing numbers, we’re storing words. So in variable 1 we store the String “Hello”, and in variable 2 we store the String “World”. Now what happens in your mind if I tell you to add those two words together? Hopefully your natural instinct is to say that the resulting String would be “Hello World”! That’s all that’s happening with the Strings “22” and “3”… Java behaves differently because of the type of the variables. To Java, the String “22” is the same type of data as the String “twenty-two”, they’re both characters arranged in a specific way. Now I don’t want to go into too much detail about types, as this is better suited to programming basic concept #3 – Data Structures. So that’s all I will touch on for now, but no worries, it will all make sense in time! So, to sum up, we talked about what a variable is and how you can store information in a variable and then retrieve that information at some later point in time. The variable can have a name, and this name you give to the variable is usually named after the kind of content you’ll be storing in the variable, so if I’m storing your name in the variable, you’d name the variable ‘yourName’. You wouldn’t HAVE to give it that name, you could name the variable “holyCrapImProgramming”, but that wouldn’t make a whole lot of sense considering you are trying to store a person’s name. Makes sense right? Finally, variables have types, and these types are used to help us organize what can and cannot be stored in the variable. Hint: having a type will help to open up what kind of things we can do with the information inside the variable. Example: if you have two Integers (let’s say 50 and 32), you would be able to subtract one variable from the other (i.e 50 – 32 = 18), pretty straight forward right? But, if you had two variables that stored names (i.e. “Trevor” and “Geoff”) it wouldn’t make sense to subtract one from the other (i.e. “Trevor” – “Geoff”), because that just doesn’t mean anything! So, types are also a powerful thing, and they help us to make sense of what we CAN do with our variables and what we CANNOT do! So I hope this information has been helpful to you, and I hope you realize what the benefits of learning a programming language are! The allure to learning a programming language is quite high in today’s corporate world, as most companies are hiring programmers with the skills to create web applications. The programming profession is one that provides excellent pay and job stability, and in the end, isn’t that what we’re all looking for? Thanks Hardik, I’m glad you think so, this is a new site so keep checking in every week for new topics. it is easy to understand!!! I was just away on vacation and didn’t have time to write any new posts, but I’m going to sit down today and get one out for you guys, keep your eyes open for it, or sign up for my mailing list where i let you know when a new post is up. Hi, Today was my first class about this crap! I was sleeping there but its really helpful and good information for me. I am going to read all info. here. I can absolutely help you out, but I will need a little more information. What do you mean when you say that you want to “send a message”. Are you trying to send an email? Are you trying to just output a message onto the console? Hi, I took a Java class last year and I’m about to take the 2nd level this year. Just wanted to let you know what a great of a site you have. I appreciate how you break things down using simple (human) language. 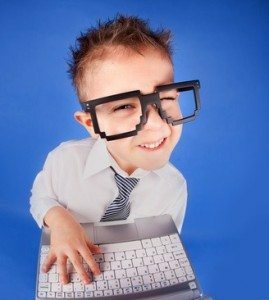 I was the only one in my class who never had any experience with programming and felt so out of place and confused when the teacher would use computer science terms with us so loosely. This article is very valuable to people coming in with no knowledge of programming. And to all you newbies out there, don’t be afraid to take it slow. A solid understanding of fundamentals and much practice will take you far in the long run. Thanks for the comment, bit i need you to be a little more specific. I don’t know what you want exactly. plz send me programs on concept of core java. Then by all means, keep going through the tutorials beyond this one 🙂 Let me know if you need any help understanding any of these concepts, or if you want me to cover something that I haven’t yet talked about, please do let me know. I assume you’re using Java AWT of Swing for the Graphical User Interface… is that correct? like adding of binary numbers, subtraction, multiplication and division. can someone knows that ? want to be a good programmer,how can i learn java perfectly? If you follow through all of my tutorials and download my podcast that would be a good start to understanding the core concepts of programming in Java. Make sure you download an IDE and install it to create your programs (that info is in part 5 of this series entitled “tools”). The most important thing is to stay focused and not to get too frustrated. If you do ever get stuck, just leave a comment here and I’ll be glad to help you out! I need your help !… ive got a java test in school with nested if on monday… I am totally confused! i Actually dont know how to proggram with nested if,when it is used and stuff. You’re in luck, I’m actually writing a tutorial right now… would you like to hop on Skype for a quick tutorial? hi im new here.. i hope this site could help me doing a java source code. i mean thanks for this site . and need to appears a freshmen,sophomore,junior,senior… its like that code? i am very anxious to find out.. This is a great tutorial to help you setup Java so it can run in windows. That’s what this blog is all about. This will teach you Java. My eBook is also a great resource for learning Java: http://javapdf.org. zdravo potrebna mi je java runtime na mobitelu htc hd mini,zelim je skinuti kako bih mogao gledati filmove preko interneta,ali nikako da je skinem,pa mozete li mi pomoci ikako? I don’t actually have any experience with installing the java runtime environment on a mobile device. The only mobile programming stuff I could point you to, is Android development resources. But as you didn’t post in English, I can only guess at what your exact problem is. So, if you do have an android operating system on your phone, and you’re looking to create an application to help you to watch movies on the internet, then I’m sure you could create an application to do so on your phone using an Android app. But again, I’m not positive on what it is you need. Thanks Elyot, I think a lot of the other readers here would agree with you, and there’s plenty more available here! I hope you learn tons! You’ll have to re-phrase your question and be more specific, I don’t understand what you’re asking. I have to write a program which draw contour plot(level curves) for every f(x,y) = z but i do not know how to determine x and y to draw the curves? Sorry, I really don’t understand what you need to accomplish, do you have more details than just that? hello I,m new. so plz tell me about scop of java? Can you elaborate a little about what you mean by the scope of Java? Do you mean, where is Java used? If so, then Java is used in web applications, mobile phones (android and blackberry) as well as desktop applications. hi… this is my first time to see or visite,, it’s nice to read coz i leard something about this topic but what i want is example. i want the program on how to make connetion between java and database like sql or ms access with what are setting made before actual code is wriiten. i want small snap short pictures of those setting . can you give me small project like simple hotel management system , with different window , coding and picks of setting . I WANNA TO WRITE CODE IN JSP THAT CAL CULATES THE WEEKLY CLASS SCHEDULE ..
OR IN VB.NET PLEASE …………. WHY ARE YOU YELLING AT ME!!!! AHHHHHHHH. I really can’t help you there unless you give me some more information. “Calculates the weekly class schedule” means nothing to me unfortuantely. 2. can u help me how to create web site…. Trevor – I just learned about this site listening to your interview with Pat Flynn. I’m a former college professor (and really an “ex” programmer since I now mostly hire others to do it) who helps people commercialize technology. And mostly I just wanted to tell you that you are, indeed, a natural at teaching! Or maybe it’s just that I like using the same style – starting with those things that apply across disciplines. You are an inspiration on how to set up a website for teaching. Well done! I’m completely humbled by your comment. It’s one thing for me to think that I’m a decent teacher, and it’s another to have other programming enthusiasts say that I’m a decent teacher… but it’s an entirely different thing (in my opinion) to have a former College professor tell me I’m a natural. My sincere thanks for taking the time to leave that comment, it means a lot to me! could you provide us some clear example programs about data abstraction,throw and catch .